The enchanting flavors of Mandarin float through the smooth earthy tones of this delicate Chinese Green Tea. 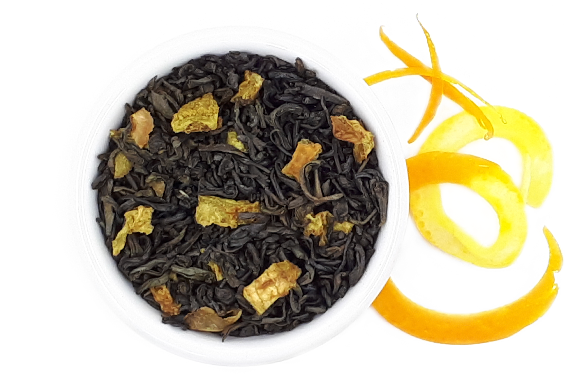 The zesty-ness of Orange peel adds a kick to an otherwise light cup of tea. Mandarin Moon is a mellow blend with a distinct citrus aroma and flavor. Green Tea, Mandarin Flavoring, Orange Peel. 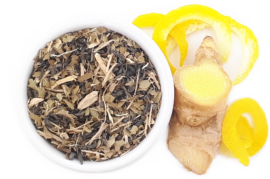 A seasonal blend of black tea combined with aromatic cardamom, sweet cinnamon, spicy ginger, exotic clove and apple. 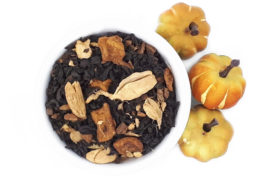 Our one of a kind, pumpkin spice chai, is a must-have addition to your tea assortment this fall. Enjoy with milk and sweetener for a warming, stimulating beverage on a chilly fall morning or evening. Sweet, sweet surrender. Start your engines! 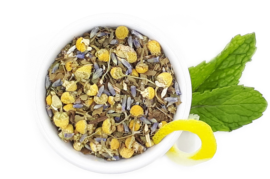 Rev up your day with a cup of this refreshing Green Tea, infused with an energizing boost of Ginseng and Lemon Myrtle. If you’re looking for an all natural way to reclaim your engery, this is the tea for you. Drink me hot, or cold when you’re feeling extra sluggish. 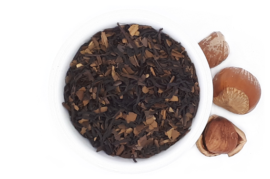 A full, rich blend of Ceylon black tea with the cozy creaminess of hazelnuts. A mellow, very well blended cup of tea that is great with just a touch of brown sugar. Decadent and Devine. If you are a coffee lover, this will satisfy your cravings.